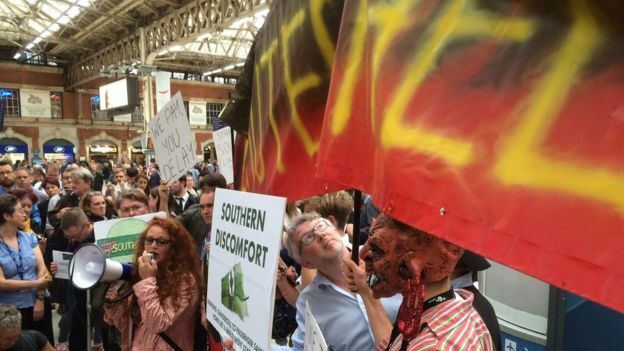 A new twist to Southern Railway protests? We’ve seen too much of this on the news recently after all the cancellations of Southern trains to the south coast. Comment on N Gauge Forum….. I think I saw this on the news here earlier, but whatever was going on is not all that unusual for Japan so paid it little heed. It would make something a little different for your platform! Update: Comment on N Gauge Forum…. Station Master: How do you suppose we’ll get all these Pikachu’s on the next train? Station Porter: I dunno – Pokemon?